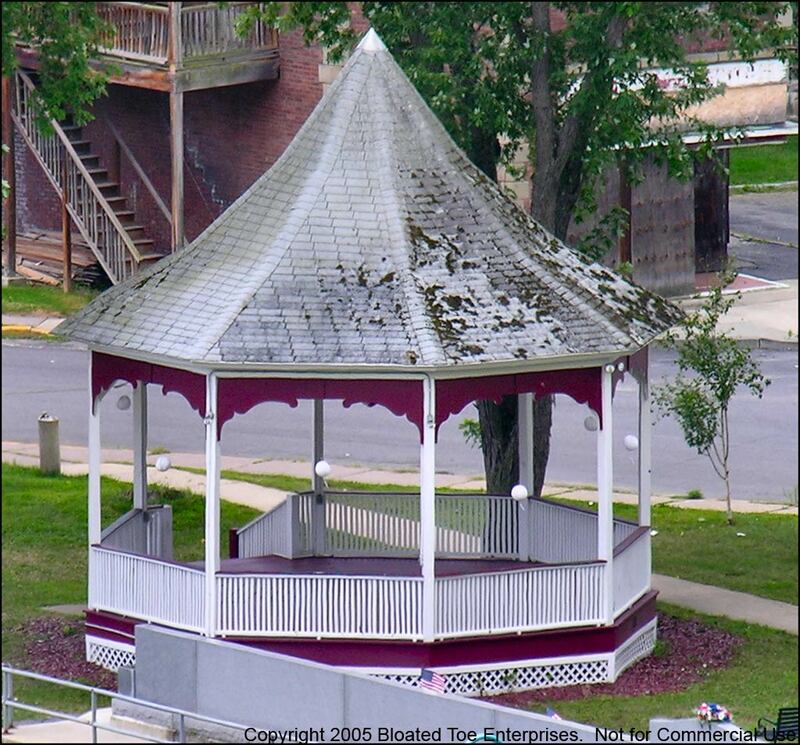 The bandstand in Riverside Park, Whitehall, NY (top). 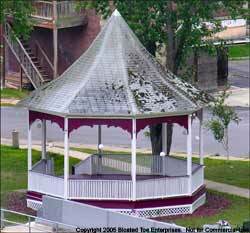 It was built in 1982 as a replica of the bandstand that was located on North Williams St. overlooking the Champlain Canal many years ago. 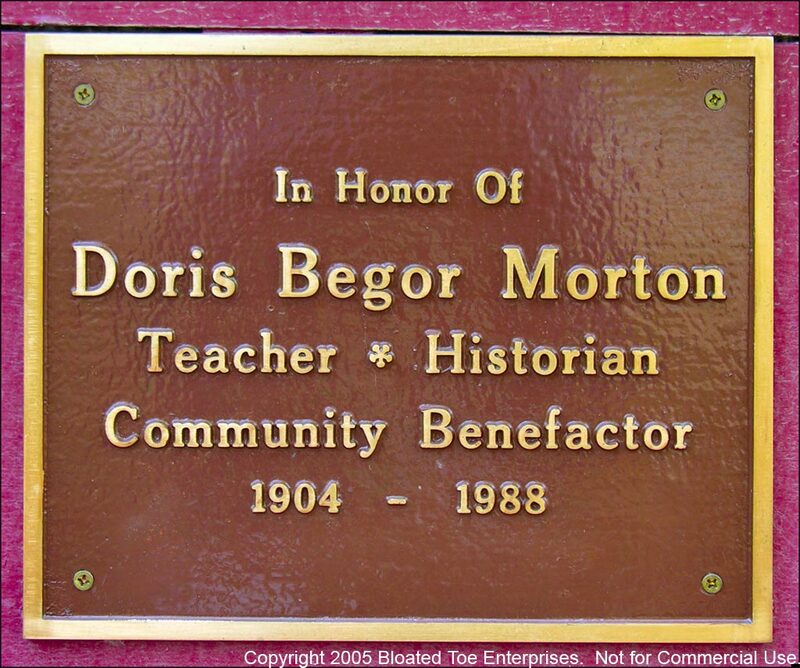 The plaque that appears on the bandstand honors Doris Begor Morton, Whitehall Town Historian from c. 1955 to 1988. 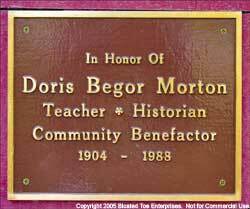 Among her many contributions to Whitehall, Doris donated funds to finance the building of the bandstand. 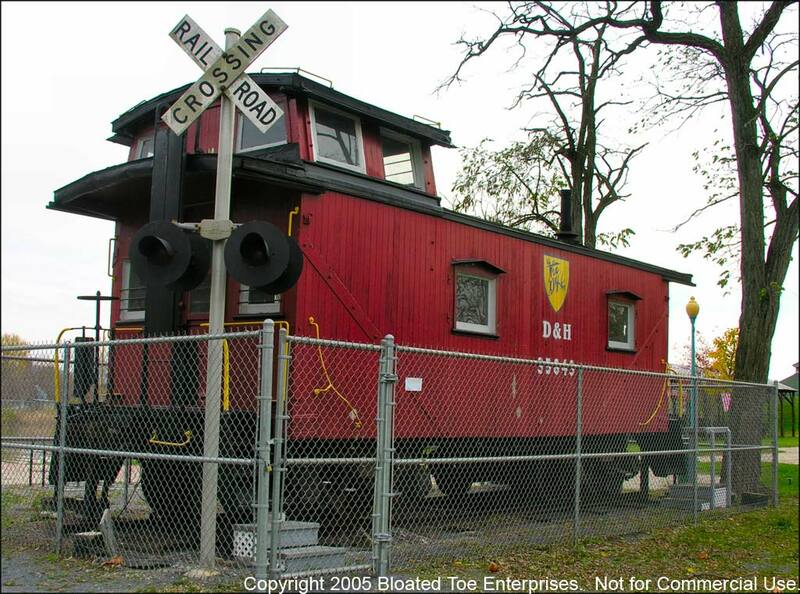 This is an actual D&H caboose on display outside the Skenesborough Museum in Whitehall, NY. 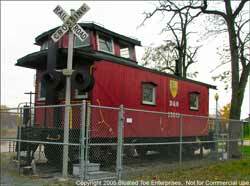 The crossing lights will soon be equipped with motion detectors so they will light up when visitors approach. This is a memorial park (top) built by the Whitehall American Legion Post 83. The memorial is located at the corner of Clinton St. and Broadway in Whitehall. The stone (bottom) is located in the park.